Javier Mascherano’s recent performance in the 2-1 win over Sevilla has come under immense praise, as the Argentine midfielder for the Spanish club quickly recover from the 3-1 loss against Manchester City in the previous match. Barcelona suffered a catastrophic collapse in the second half against the Premier League team in the Champions League. As a result, there was a danger of the team coming in with a hangover for the away trip to Sevilla. After conceding the opening goal after just 15 minutes, there was a danger of Barcelona suffering another mighty collapse. Luis Suarez and Messi scored the goals that helped the Spanish club recover from this early setback. However, Spanish football expert Terry Gibson believes that the club may have benefitted immensely from midfielder Javier Mascherano more than anything else. Gibson even went on to claim that Mascherano maybe the new Carlos Puyol for Barcelona. Regarded as one of the greatest players have represented Barcelona, the club have badly missed the Spanish centre back for the last few years. Mascherano may have been a midfielder by nature, but he was converted into a centre back by former boss Pep Guardiola. Subsequent managers have resisted the urge to put the 31-year-old back in the midfield position. He continues to partner Gerard Pique in the centre of the defence as the signings of Thomas Vermaelen and Matthew have not worked out as expected. "He drives them on, throws himself into challenges where he might get hurt, he blocks shots, he blocks crosses and he makes last-ditch tackles.So somehow you have to keep him in the team to keep that spirit in the team in big games. I think he's a really important player. 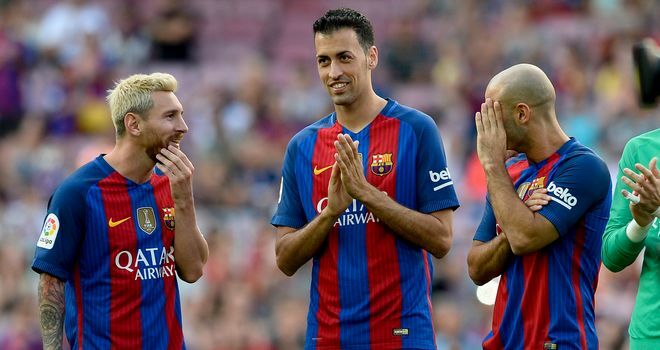 It was Mascherano and Messi against Sevilla. He is the heart and soul. He is the new Puyol,” said Gibson.